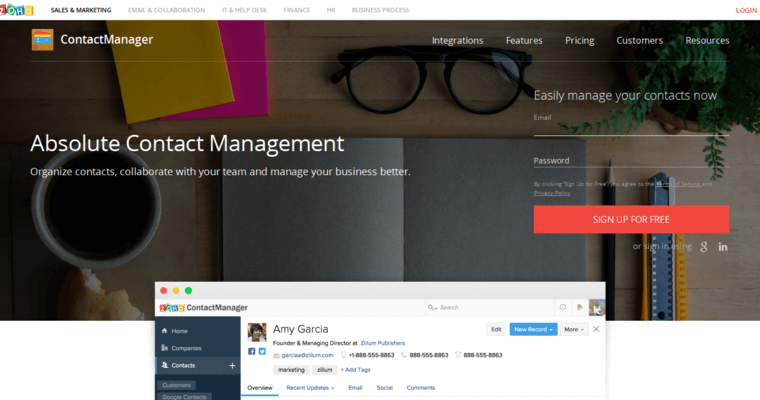 There are thousands of CRM programs available on the market, but none of them are able to compare to Zoho, which is considered to be the best CRM software program. It has four different bundles: Workplace, Finance Plus, CRM Plus, and IT Management. 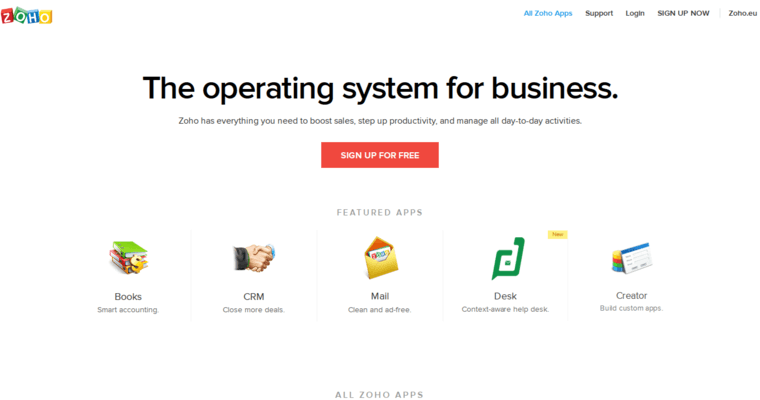 Zoho has over 40 integrated applications to help run a business and to make the day to day tasks easier to keep up with. 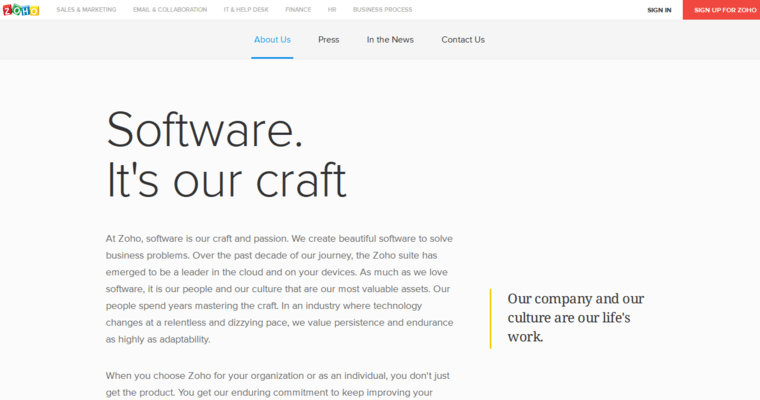 For sales & marketing teams, some of the apps that Zoho provides is: Motivator, sites, sign, social, CRM, forms, campaigns, salesinbox, survey, salesiq, contact manager, and backstage. Some of the finance apps that it can help with are books, subscriptions, expense, invoices, checkout, and inventory. The apps that were designed to help an IT department are Site24x7, desk, assist, mobile device management, and servicedesk plus. Using Zoho makes it easier to deal with collaborations and emails through the following apps: showtime, show, docs, mail, cliq, and wiki.